It's National Cat Day! I hope that my feline furbabies have a purrfect day! And I hope they're ready for some serious snuggles. 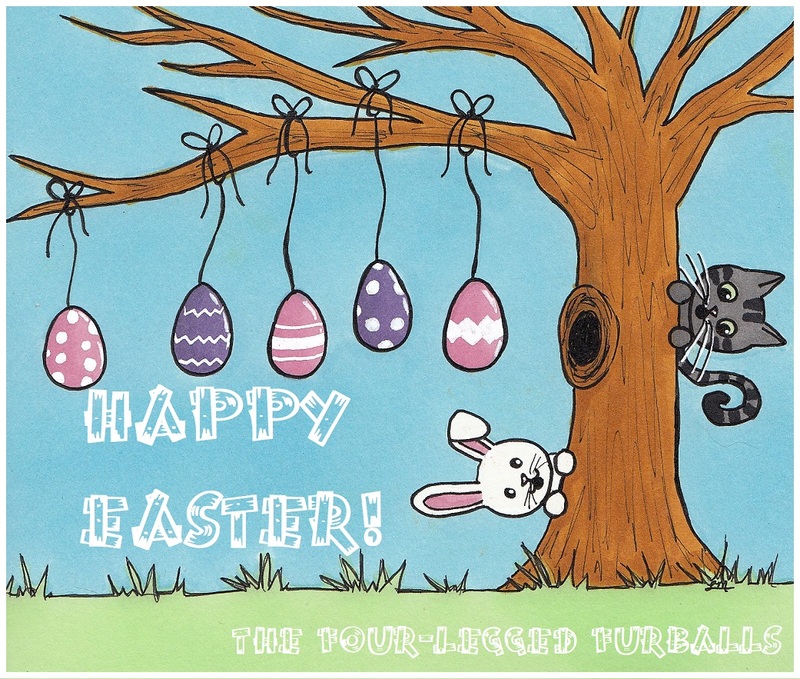 Here's to hoping that all kitties out there have a purrfect day, and that all homeless kitties find their furever homes! 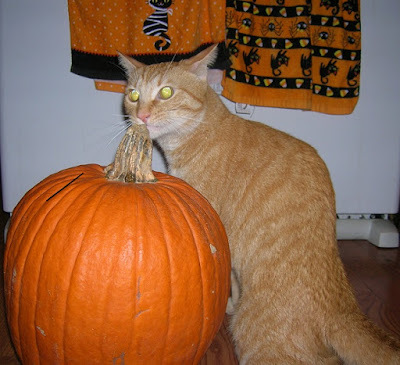 This furbaby momma loves her some Halloween. Along with the scary movies and excessive amounts of candy and sugar comas, one of my favorite parts of this holiday is carving a jack-o'-lantern. I guess orange really is the new black? My furbabies of course gave me tons of help, and we had a lot of fun! Does anybuddy else carve jack-o'-lanterns for Halloween? 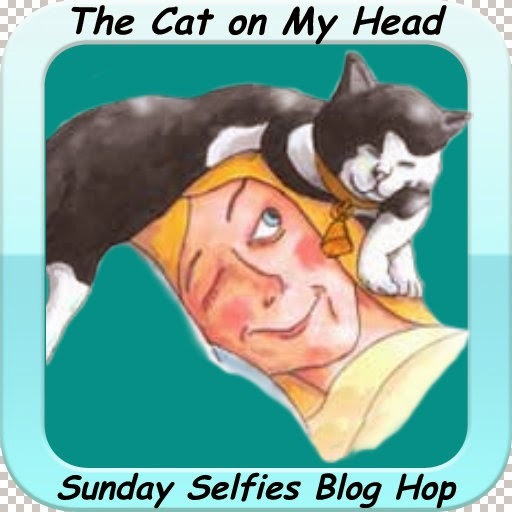 This week all my furbabies decided to pose and participate in The Sunday Selfie Blog Hop hosted by The Cat on My Head! This active little lady's facial nerve paralysis gives her the cutest permanent Elvis impersonation, blurry or not. See? 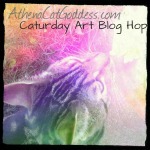 I only recently learned about the Caturday Art blog hop posted by Athena and Marie. For that pawesome blog hop, we are all invited to have fun making artsy edits to photos of our furbabies! That being said, my dilemma is that I'm far from a photographer, and I'm even farther from technologically savvy, which makes photo editing just a tad bit daunting for me. I do, however, love to draw and make all sorts of arts and crafts messes. 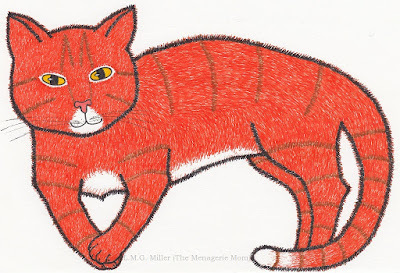 And, of course, my furbabies (and animals in general) are often the subjects of my artistic endeavors. So, I'm going to sort of bend the rules and share some drawings I've created of my furbabies for this Caturday Art blog hop. I apologize for cheating. My adorable little girl Thimble. My goofball of a pooch, Astrid. Since I created this little series of drawings so long ago, you might notice that my special little girl Eddy is not included. Fret not, though, as she will end up in my portfolio soon! I also have drawings of my family's furbabies in the works as well. 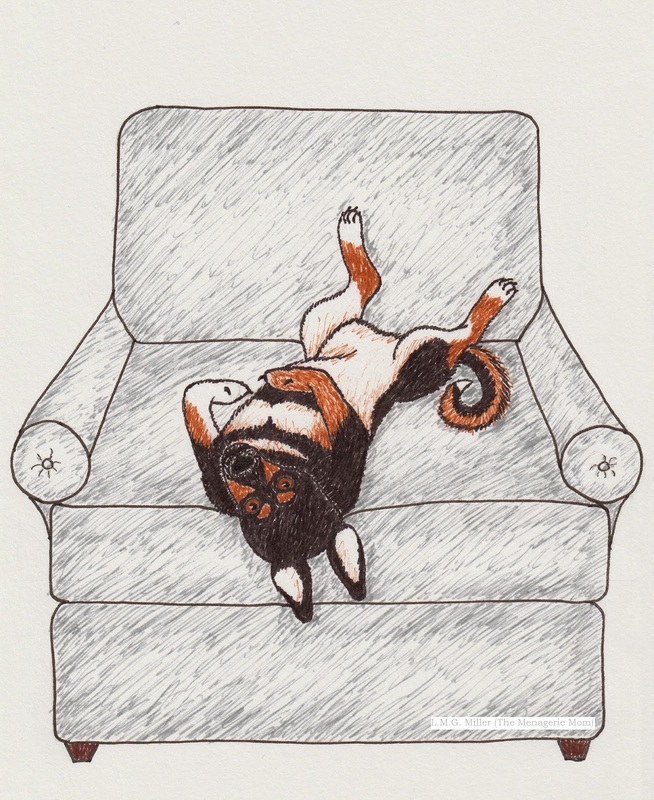 And then there are the plethora of other furry friends art pieces that I've made and cluttered my home with. I love getting pictures of my furbabies while they're snoozing. Often, though, I have to fight the urge to wake them up with a snuggle attack. Thimble, my ridiculously adorable champion snoozer. Happy Thursday, everybuddy! I hope you're all getting your snoozies in! It was pretty chilly in our corner of the world this weekend. But, it was also beautiful and sunny, and my furbabies love that. 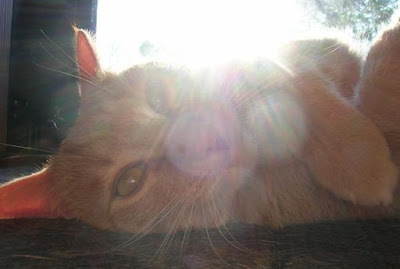 I hope everybuddy out there is staying warm and finding lots of sun puddles of their own! Every once in awhile, Evan's momma (moi) is not able to go home on her lunch hour. On days like that, momma's boy Evan does this to his auntie. 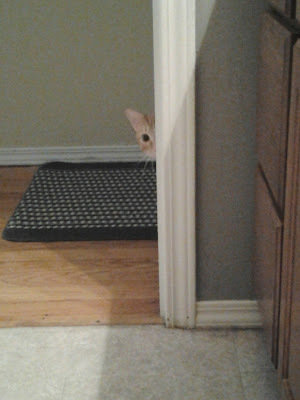 Perhaps he thinks he's putting his master spy skills to good use? My furbabies got together and decided to give me some shots of their toesies recently. So, today will be Toesies Tuesday around here. Astrid snoozing, while asking for a handout. Sit still for just a second, Eddy. Please? No? Not even half a second? Well, I guess you get points for the creative pose, Eddy. And you get points for the photobomb, Evan. Is there a paw under all that fur? Happy Toesies Tuesday! Does anybuddy else have toesies to share today? I just wanted to pop in with this quick video that gives a glimpse of how much help I get when putting fresh sheets on my bed. The whole process only took a couple hours this time, which is somewhat of a record for me and my little helpers! There are two new additions to the family - two pretty betta fish! At my furbabies' previous home, they had a frog in a tank they loved to watch and interact with. I love all animals, but amphibians and reptiles aren't really my thing. They're certainly fun to watch, but not quite as cuddly as I like, and they and their living arrangements take a little more picky upkeep than is my preference. I wanted my furbabies to have something to interact with, though, since I know they love that so much. So, I decided on some betta fish. I think I have a relatively decent system going along now (with my fish-loving dad's help, that is), allowing the furbabies to watch the fish while also ensuring that the fish aren't stressed by the furbabies' enthusiasm. Now, you see that white rod strung up in front of the tanks? That quickly became a necessity, when certain furbabies (Toby, ahem, Toby) displayed a constant desire to bear hug the tanks and, as a result, nearly drag them out of their little cubby of safety (even with the tanks filled with water...the boy is very strong). As a side note, that video was from the early stages of the setup. It's looking a lot better now, with a light set up for the fish. And I'm happy to report that, with a lamp set up for light and warmth, as well as daily meals and entertainment from the world beyond, the fish are doing great. We were at first worried that the two of them would see each other and get all puffed up and fight between the glass of their tanks (after all, betta fish are also known as "fighting fish"). However, that has not been the case at all. I was going to put a divider up between the tanks if needed, but so far I've been able to avoid that. 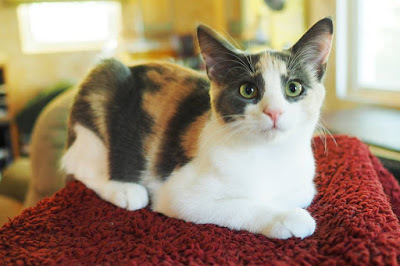 As promised in my last post, I'm here to share some pictures of my parents' newest additions Gemma Freya, and my sister's cat (and Thimble's brother) Toby, all of whom I've failed to get many pictures of recently (shame on me!). I'll start with Gemma and Freya. First of all, to give credit where it's due, these pictures of these little ladies were taken by my grandmother when she came to town to visit my parents, my sister, and I recently. My grandma is a great photographer, and her photos put to shame any photos I could possibly take. Honestly, I was a little surprised that Gemma and Freya (especially Freya) allowed for a photo shoot with my grandma, but they did! 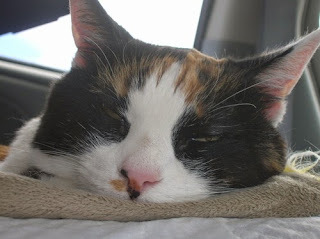 Pretty calico Gemma has really come out of her shell since my parents adopted her. As in, she's come to absolutely adore humans. 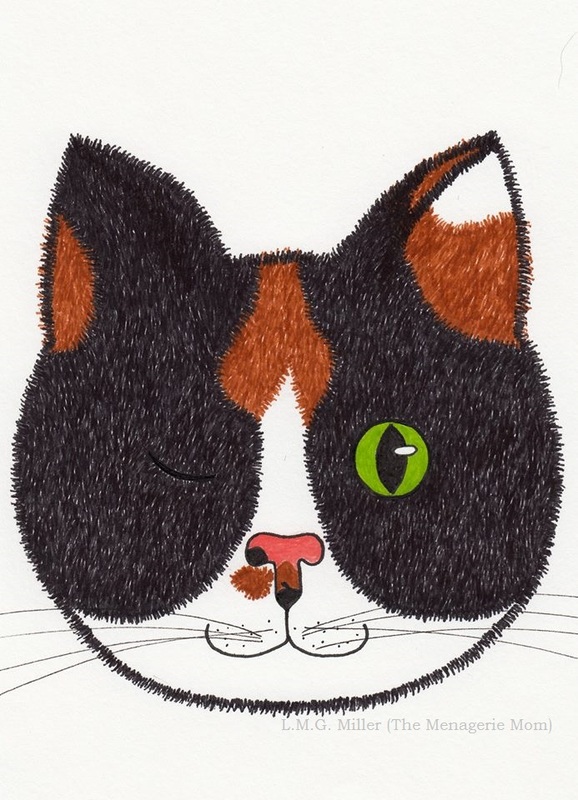 She's also a mooch (although an adorable one), and will love you forever if you give her food. 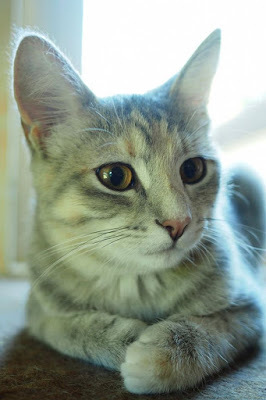 Freya is a beautiful little kitty who can be a very friendly, and who also loves food. But, she does not share her sister Gemma's intense adoration of humankind. She does not like to be held, and her favorite game is to run just out of the human's reach when they approach. Next up is Toby. My sister and Toby live at my house with me, so you'd think I'd have tons of photos to share of him. But, if I'm to be honest, I find that Toby is not all that photogenic. Don't get me wrong, the boy is one handsome, cool cat. However, he doesn't like to pose for pictures. 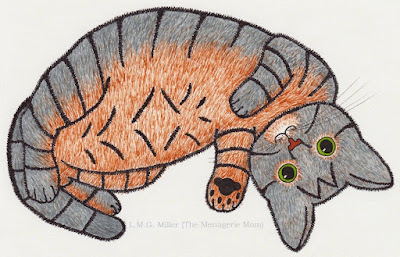 Instead, he tends to either play dead (for lack of a better word) or turn into a leg-rubbing, camera-avoiding little stinker when picture time rolls around. Sir Toby, King of the Cat Tree, sure has grown up! At his recent annual vet visit, he weighed in at 13 lbs. Talon and Trapper! 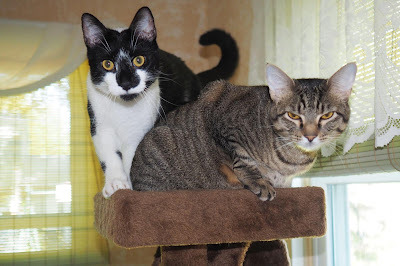 These boys (my Thimble's brothers) have two of the coolest personalities I've ever seen in cats, and they are two of my best buddies. I've warned my parents that some day they may come home and find that I've whisked them away. Of course, I'm only joking...sort of.